Indie Retro News: Shadow of the Beast Demo shown on a GX4000 and Amstrad Plus! 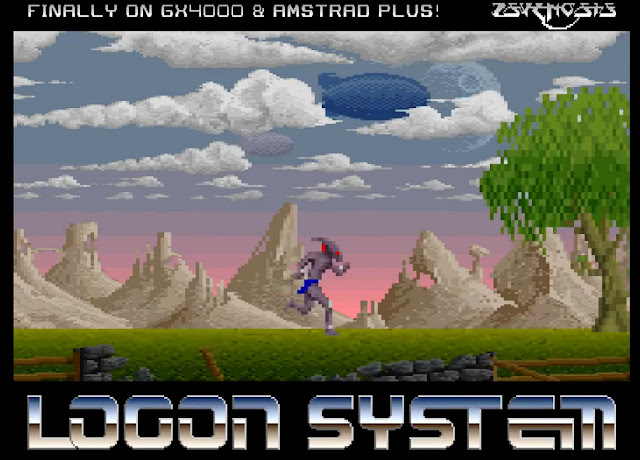 Shadow of the Beast Demo shown on a GX4000 and Amstrad Plus! The Amstrad has had it good this year, what with the recent #CPCRetroDev 2017 showing us awesome games such as Baba's Palace and Profanation 2, plus the incredible in development Pinball Dreams CPC, which looks almost as good as the Amiga version but in glorious 8-bit. But now the Amstrad scene is going all out, as thanks to Logon System who came second 2nd at the Alchimie 2017 event, they have shown us the Amstrad GX4000 and Amstrad Plus running Eerie Forest. Which is actually a rather smooth scrolling demo of Shadow of the Beast, that looks amazing indeed!